Download our complete first album for only $6.95! Download our entire first CD and start listening right away! This is our complete album in MP3 format (128Kb). It is a 37MB download (one .zip file). You will be sent a link to the download location immediately upon purchase of only $6.95! Order online via credit card: $20 + FREE Shipping! Order online via check: $20 + FREE Shipping! Order online via credit card: $1 + Free shipping! Order onine via check: $1 + Free shipping! Get the whole package! T-shirt, sticker, and CD (your choice)! Order online via credit card: $25 + Free shipping! Order online via check: $25 + Free shipping! 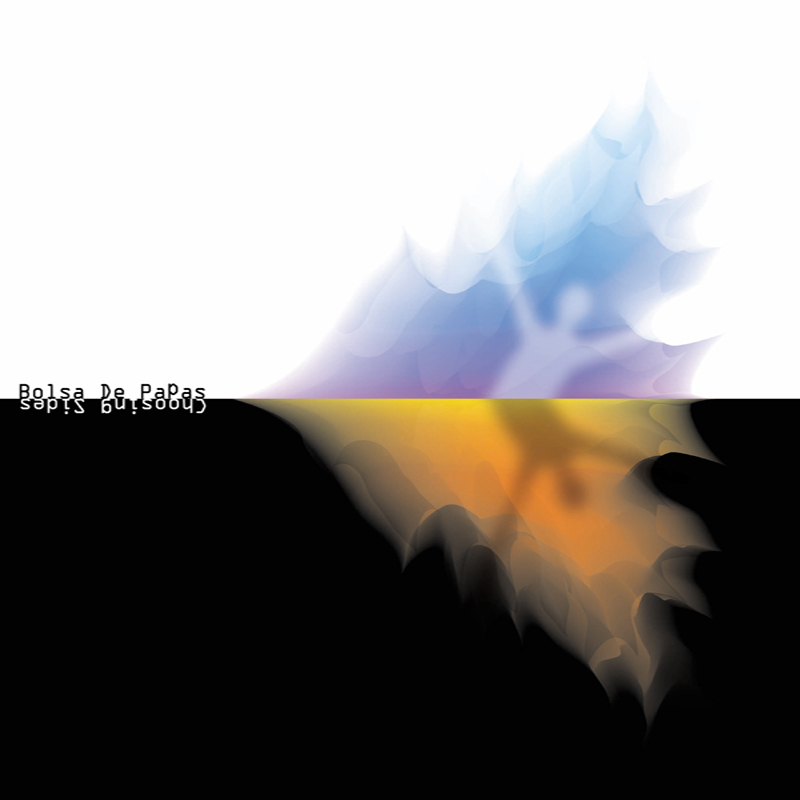 You can now get an official Bolsa de Papas white t-shirt with the CD insert photo gracing the front, an 11 oz. or 15 oz. mug with our photo on it, or a mousepad with our photo on it! Click here to see 'em! These items have a differen't ordering process, you order them with a credit card right from the online store! 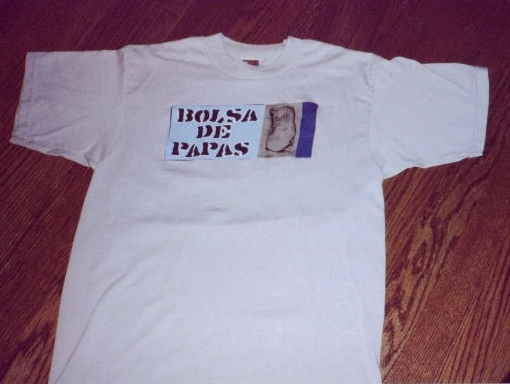 If you'd like to order one of the items with a DIFFERENT Bolsa de Papas photo that you've seen on this site, we can do that for no extra charge! Just e-mail us for the details! Copyright � 2001 Bolsa de Papas.